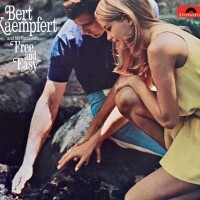 Available for the first time on CD, this album, recorded in the spring of 1970, was Bert Kaempfert’s last production in “classical” two-track stereo before he began using the eight-track system for his recordings. Once again he and his orchestra made music which was truly “free and easy” in every way, and indeed nothing compares with Kaempfert’s music: in arranging the carefully chosen pieces for his orchestra, he always ensured that the melody remained in the foreground. In addition to the highly popular Sweet Caroline, a top-ten hit written by Neil Diamond, Bert Kaempfert also looked back to that old jazz favorite Gone With The Wind from 1937, and to two world-famous film melodies: Over The Rainbow, which was sung by Judy Garland in the 1939 film musical “The Wizard Of Oz” and which became her signature tune for the rest of her life, and Laura from the 1944 crime film bearing the same name, which brought the film composer David Raksin lasting fame. Two of the eight original compositions by the Bert Kaempfert/Herbert Rehbein team also originate from a film: “You Can’t Win ’Em All”, starring Tony Curtis and Charles Bronson, was an adventure film made in 1969 whose action took place in the Ottoman Empire after the First World War. With the music to this film – the majestic Love Theme and the action-packed Flight To Mecca that can be heard here –, Bert Kaempfert once again broke his resolution never to write a soundtrack again, something he had sworn after the strenuous work on the film “A Man Could Get Killed” which involved writing a melody which was later to become a hit all over the world: Strangers In The Night.